The government of Carlos Alvarado declared a win in Monday’s national strike, not for settling or stopping the work stoppage it deems illegal, rather for minimizing the impact the labor unions had intended. 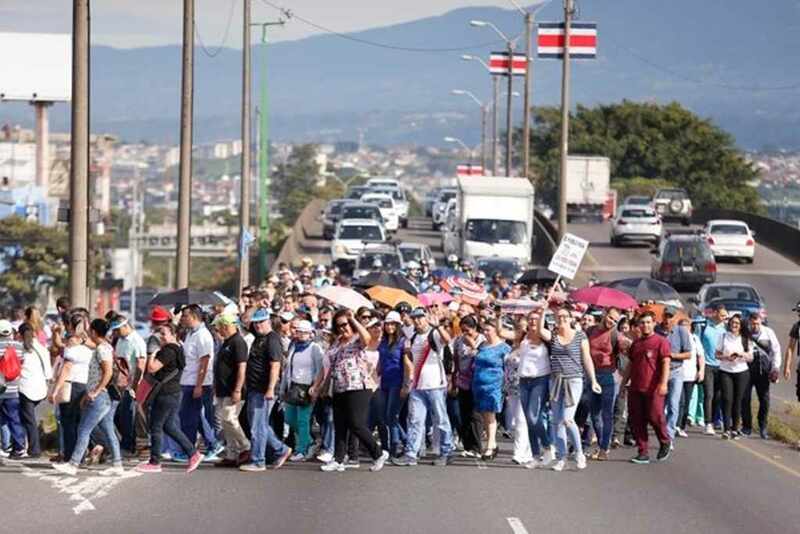 A group of employees of the Hospital Mexico obstructed the traffic on the General Cañas to join the march. Photo: Albert Marín. 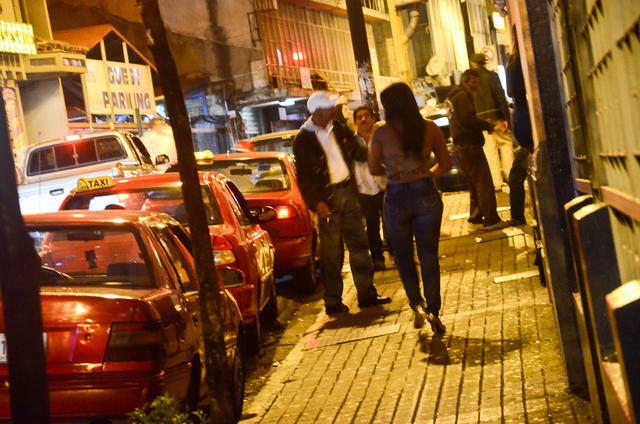 The government says with the actions taken on Sunday night and its contingency plans, the Government and its institutions managed to neutralize, to a large extent, the impact of the strike. The organizers threatened to paralyze public services. However, there was no paralysis. 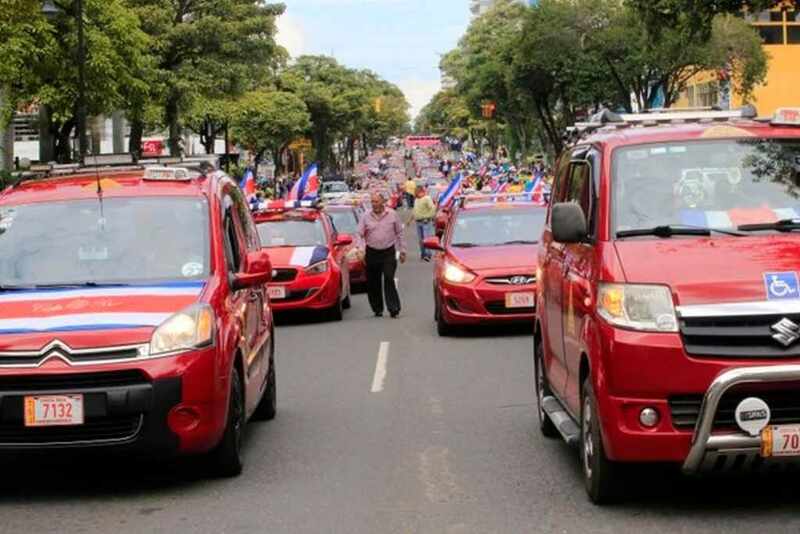 Two weeks ago, the Bloque Unitario Sindical y Social Costarricense (Bussco), Patria Justa and other trade unions, announced the indefinite strike in opposition to the Plan Fiscal now before the Legislative Assembly. 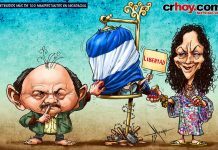 Since last week, President Carlos Alvarado, called the unions to dialogue, however, there was no positive response. For that reason, on Sunday night the president said on national television, that the strike was inadmissible and that they would ask for the declaration of illegality. 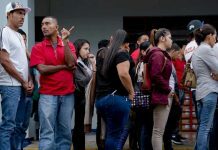 The Government reported that 25 institutions had reported zero striking officials; and the rest, low participation, below 6% of the staff, except in the Ministry of Public Education (MEP) and the Costa Rican Social Security Fund (CCSS). As of 7 p.m. Monday, the MEP registered 7,847 absent teachers without any justification in a sample of 856 schools and colleges of the 4,800 that exist throughout the country. This figure represents 36.7% of the 21,335 employees. At the CCSS, the executive president, Román Macaya, explained that in order to face the imminent work stoppage, they declared an “institutional emergency”. 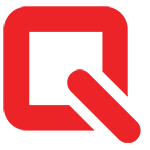 That measure gives them access to a fund that would allow the institution to contract outside workers and supplies, such as buying food for patients, if necessary, if nutrition services are paralyzed. 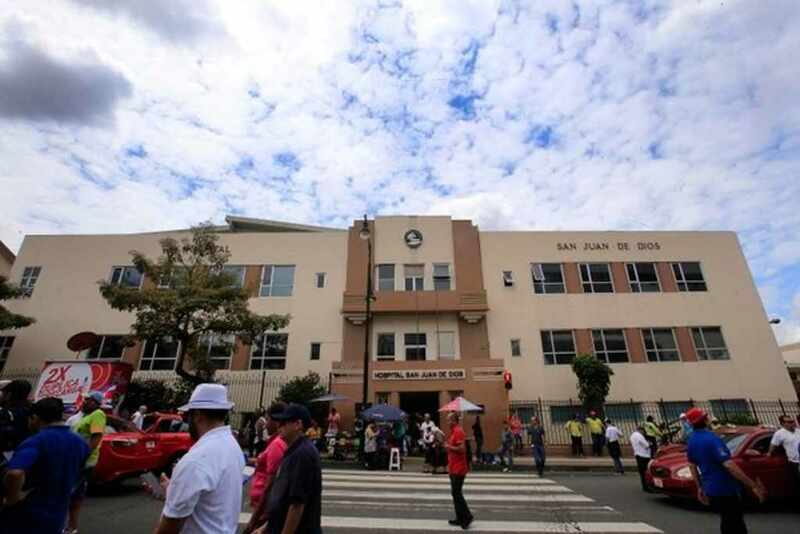 The San Juan de Dios Hospital (HSJD) in downtown San Jose was the most affected. Up to 60 scheduled surgeries were suspended, according to the hospital director, Ileana Balmaceda. 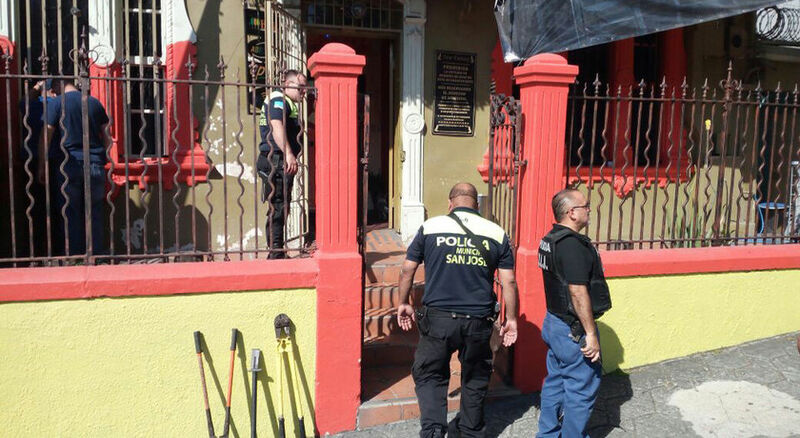 Douglas Montero, director of Hospital Mexico, explained that 40% of the staff was absent. In this medical center, all services were provided but at a slower pace. There, 17 of 27 scheduled surgeries were suspended. 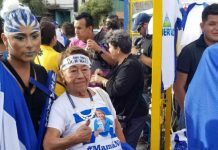 At the Guardian Calderón, Taciano Lemos, director of the hospital, assured that the affectation was minimal and they had enabled seven of 26 operating theaters. Medical services and External Consultation worked despite the strike. In Cartago, the Max Peralta hospital estimated 26% of the services were affected by the work stoppage. Airports were working. Important for travelers and Costa Rica’s tourism industry, the international airports in San Jose and Liberia were not affected. Taxi drivers in different parts of the country joined the movement to protest their presence of Uber in the country.